Aadhaar, the 12-digit unique identity number issued by the Unique Identification Authority of India (UIDAI), is mandatory to be linked with a host of essential services by March 31. Even as the Supreme Court is hearing cases against this mandatory linking of Aadhaar card number with other services, as of now the last day of linking Aadhaar is March 31, 2018. However, the deadline to link Aadhaar has been extended several times before as people have raised privacy concerns against it. For linking Aadhaar card number with PAN card, one can visit the website of income tax department – incometaxindiaefiling.gov.in. Linking Aadhaar card with PAN is only a two-step process which does not even require a user to login or register at the e- filing website. New SIMs only get issued with the presentation of a valid Aadhaar card number. All old SIM users or people whose numbers were issued on the basis of an identity other than the Aadhaar card number, need to link Aadhaar card with their mobile SIMs. The IVRS method of linking Aadhaar card number with mobile SIM is among the three options announced by the government in October last year. With the new IVR-based Aadhaar system, mobile phone subscribers can link their SIM from the comfort of their home. Earlier, they had to visit the store to get the linking done. Many telecom operators have activated this service. Mobile phone users may check with their telecom operator for such a facility. All bank accounts now require the mandatory linking of Aadhaar card number. Banks have been sending reminders to their customers to link Aadhaar card number with their bank accounts. The Employees’ Provident Fund Organisation (EPFO), which manages the money in your EPF account, has launched online facility that enables subscribers to link their UAN with Aadhaar card number from the comfort of their home. An Aadhaar-backed UAN helps the subscriber avail many facilities, including submission of claims directly to EPFO without employers’ attestation. UAN is a unique number assigned to an employee; it acts as a marker for EPFO services. For linking UAN with Aadhaar, visit EPFO’s website www.epfindia.gov.in. This facility is available at the Online Services section on the EPFO website. Social security schemes like availing cooking gas, pension or a government scholarship also requires users to link their Aadhaar card number with the respective scheme. However, there are some domains where linking of Aadhaar is still not mandatory. Without Aadhaar also, citizens would be able to access three basic services. The stand was made clear recently by the UIDAI. These three services are health services, admission to schools, and ration at fair price shops. 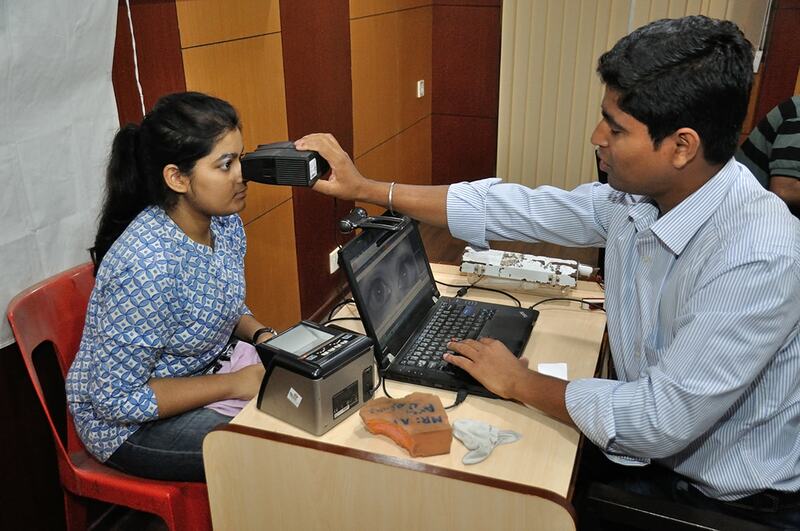 The UIDAI, in an official statement, said that the basic social services shouldn’t be denied for want of Aadhaar number. The Aadhaar, in the official tweet also, reiterated the stand. Often there have been reports that government agencies allegedly denied social services to a beneficiary, who was entitled to the same, simply because the person didn’t carry a genuine Aadhaar card number. In a quest to stop this practice, the UIDAI has cleared the air saying that the agencies should refrain from denying the services under the pretext of beneficiaries not possessing an Aadhaar card number.